"Checks the to-do list and the wish list." It’s the muscle behind the swagger. With 296 horsepower now on tap, Sienna certainly isn’t short on thrills. Refined and powerful, this 3.5-liter V6 direct-injection engine with Direct Shift-8AT (Automatic Transmission) offers improved acceleration, helping Sienna move at the speed of your family. 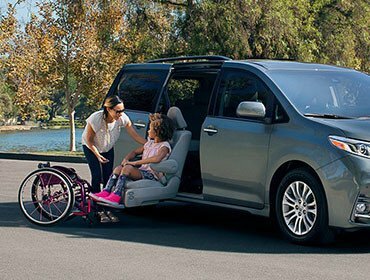 Sienna with Auto Access Seat is perfect for anyone who needs a little extra help getting in and out of the vehicle. It meets all federal motor safety standards and accommodates all ISOFIX/LATCH child seats. Specifically engineered for Sienna, the industry-first, power-rotating lift-up seat rotates 90 degrees, then extends form the vehicle and lowers for easy entry and exit. 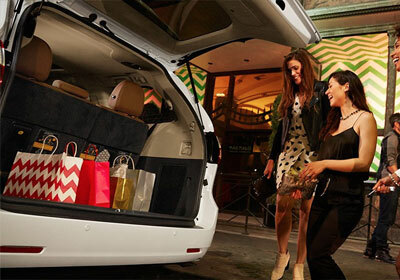 With Sienna's Split & Stow 3rd Row™ seat, you're ready for extra cargo. 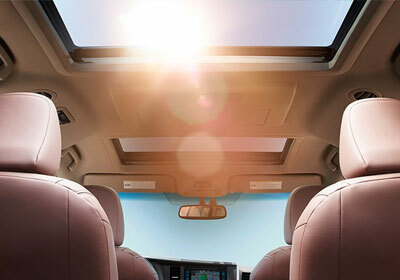 In one motion, the third-row seat folds into a cargo area storage compartment, leaving you with a flat load space. On Sienna Limited FWD, the seats are power-operated. Hands full? Just reach for your key fob to open Sienna's available power rear lifegate. It opens in seconds, and can be closed from the comfort of your driver's seat, so you can make a quick and easy getaway.